Gallia Academy quarterback Justin McClelland (7) runs with the ball during a Week 3 football contest against Jackson at Memorial Field on Sept. 8, 2017, in Gallipolis, Ohio. Point Pleasant quarterback Cason Payne (7) hoists the WCHS/Wendy’s Friday Night Rivals MVP trophy during a Week 8 football contest against Meigs on Oct. 13, 2017, in Point Pleasant, W.Va. The start of the 2018 high school football season is now less than five weeks away, and with it comes a new beginning for each of the nine gridiron programs within the Ohio Valley Publishing area. Last fall, Point Pleasant (9-3) and Southern (7-3) were the only OVP schools to post winning records. The Big Blacks also earned a playoff berth for the 10th consecutive postseason and won at least one playoff game for a fifth straight year. Both Gallia Academy and Wahama had resurgent years after posting identical 5-5 marks, while Meigs struggled through a hefty schedule en route to a 4-6 finish. Eastern and River Valley each went 3-7 last fall, while South Gallia and Hannan rounded things out in the area with matching 2-8 records. That, however, was last year. With the 30-day countdown to kickoff officially starting on Wednesday, July 25, hope is beginning to spring eternal with how well each community’s team will fare this year. In a little over a month, we will all start finding out. There are some things to look forward to this season, besides the actual games and the playoff chase — not to mention possible league titles for those schools afforded that luxury. The OVP area will feature five Saturday night contests and a singularly rare Thursday night outing, which will take place in Week 2 when Eastern travels to Caldwell. The five Saturday night affairs start with South Gallia at Symmes Valley in Week 1, then River Valley goes to Gallia Academy and Meigs travels to St. Clairsville in Week 2. Southern heads to Eastern for its traditional Week 10 Meigs County battle, while Gallia County also gets in on the act this year as River Valley travels to South Gallia for the first-ever varsity matchup between the programs. Both Point Pleasant and Hannan, as of now, enter the 2018 campaign with only nine games — with each program possessing five home contests. Coincidentally, both programs have consecutive off weeks on their schedules — one of those would serve as a bye week — during Weeks 6 and 7. 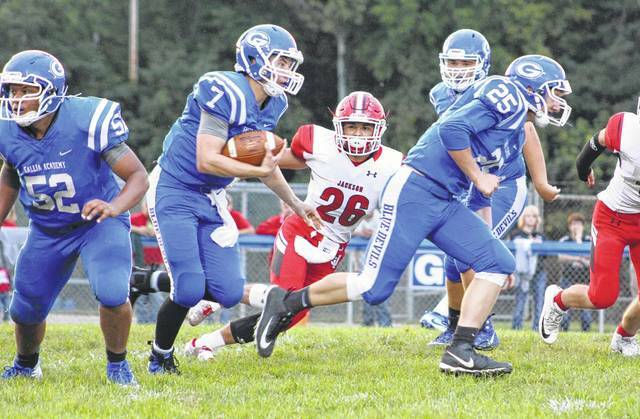 Gallia Academy — looking for its first winning season and playoff appearance since 2012 — will host both Meigs and River Valley before traveling to Jackson in Week 3 while tuning up for Ohio Valley Conference action the rest of the way. The Raiders open the year hosting Coal Grove and also welcome Portsmouth in Week 3 before starting TVC Ohio play. South Gallia will play eight straight TVC Hocking games between its Saturday night affairs. After back-to-back road trips to GAHS and SCHS, the Marauders will complete non-conference play in Week 3 when Logan comes to town. From there, Meigs finishes the year against TVC Ohio competition. Southern opens the year at home with Portsmouth Notre Dame, then the Tornadoes complete the non-TVC Hocking schedule of their schedule at Ravenswood in Week 7. Eastern starts the 2018 campaign at home with Huntington Ross, then makes the short turnaround for a Week 2 Thursday night game at Caldwell. Wahama travels to Ravenswood for its season opener, then the White Falcons complete eight consecutive TVC Hocking contests before hosting Buffalo in the Week 11 season finale. WHS also has a bye in Week 9. Neither Point Pleasant nor Hannan are in leagues, so each of their nine games become even more important in a playoff chase. The Big Blacks open the year with consecutive road affairs at Mingo Central and South Harrison, then return home for three straight home contests with Warren, Herbert Hoover and Pikeville (KY). PPHS resumes play following a two-week layoff at Meigs and at Man, then ends the year at home with Spring Valley and James Monroe. Hannan starts the year at Tug Valley and then comes home to host Green before heading back out on the road for a Week 3 contest at Manchester. The Wildcats follow up with a pair of home games against Hundred and Van before a taking a two-week break. HHS travels to Montcalm in Week 8 and ends the year at Tolsia, with home games against Buffalo and Parkersburg Catholic sandwiched in between. 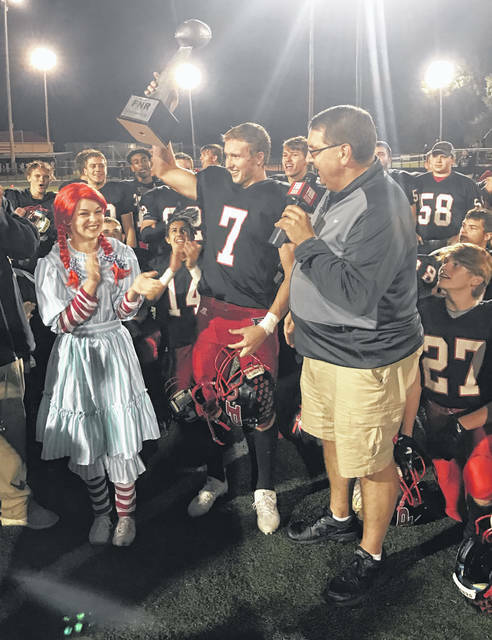 Last year, the Meigs at Point Pleasant game was chosen by WCHS-TV as one of its weekly Wendy’s Friday Night Rivals Game of the Week contests in West Virginia. This season, the OVP area will again have two local teams featured on the statewide television special. Point Pleasant is making a return appearance in Week 5 when it welcomes Pikeville (KY). Southern will also make an appearance in Week 7 when the Tornadoes travel to Ravenswood. All schedules came from the OHSAA and WVSSAC websites and were current as of Friday, July 20.